The year is quickly coming to an end. I hope you and your families had a wonder Christmas. Don't forget to send out Thank You cards to friends and family who you received gifts from. Here are the cards I made to send out tomorrow. 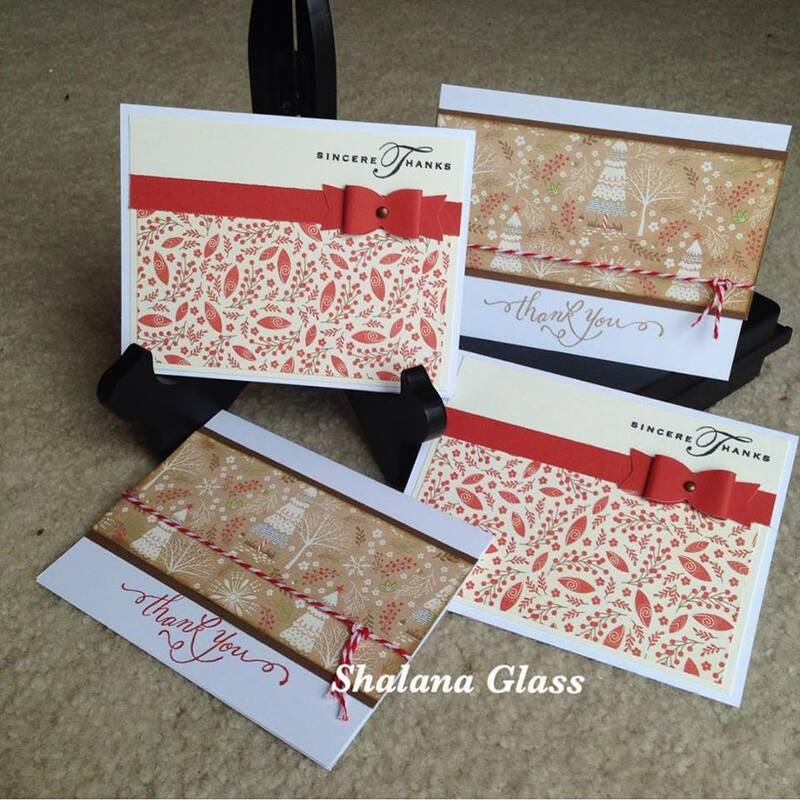 I made these cards using the CMTH White Pines paper, Variety of Thanks and Cricut Artiste stamp sets. The bow was cut from the Artiste cricut cart at 3/4 inches. Looking forward to 2016 and posting on my blog more often and consistently!! Happy Crafting and Thanks for Stopping By!